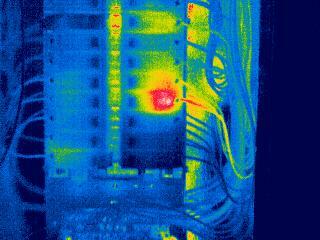 Applications and Uses For Infrared Imaging. 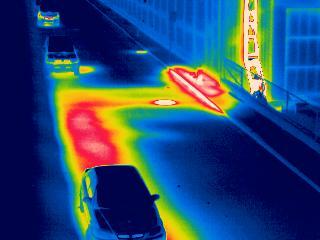 The uses for infrared technology are virtually endless. In roofing and building applications, areas of moisture or air infiltration can be identified and remedied without guesswork. In mechanical applications and motors, bearings, belts, and pulleys can be observed and repaired, before problems and costly downtime occurs. 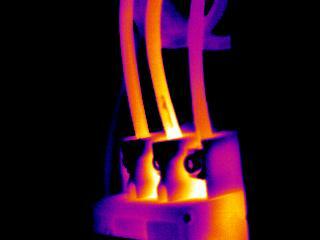 What the NFPA Thinks About Electrical Infrared Testing. 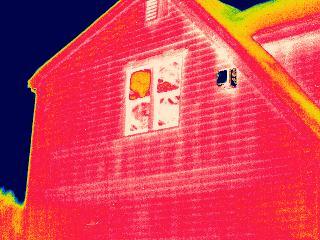 The National Fire Protection Association deems it necessary to conduct annual infrared inspections. 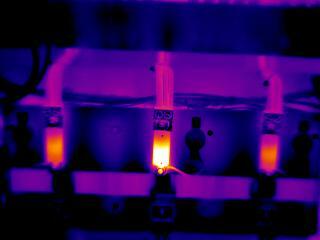 NFPA 70B 20.17.5 states, "Routine infrared inspections of energized electrical systems should be performed annually prior to shutdown. 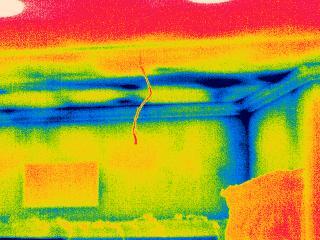 More frequent infrared inspections, for example, quarterly or semi-annually, should be performed where warrented by loss experience, installation of new equipment, or change in environmental, operative, or load conditions", This standard exists not only to prevent critical equipment from damage, but also for the safety of the personnel who work around this equipment. 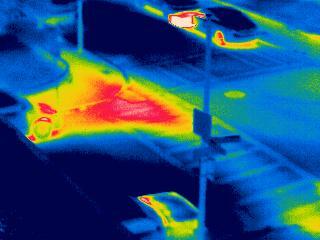 Radiant underfloor heating embedded in a concrete slab in an automobile dealership. Proper operation is visible, while blockages and leaks are easily identified. A fuse in a disconnect switch that is damaged or in disrepair. This is a very dangerous situation not only for the equipment it operates, but the people working on and around it.